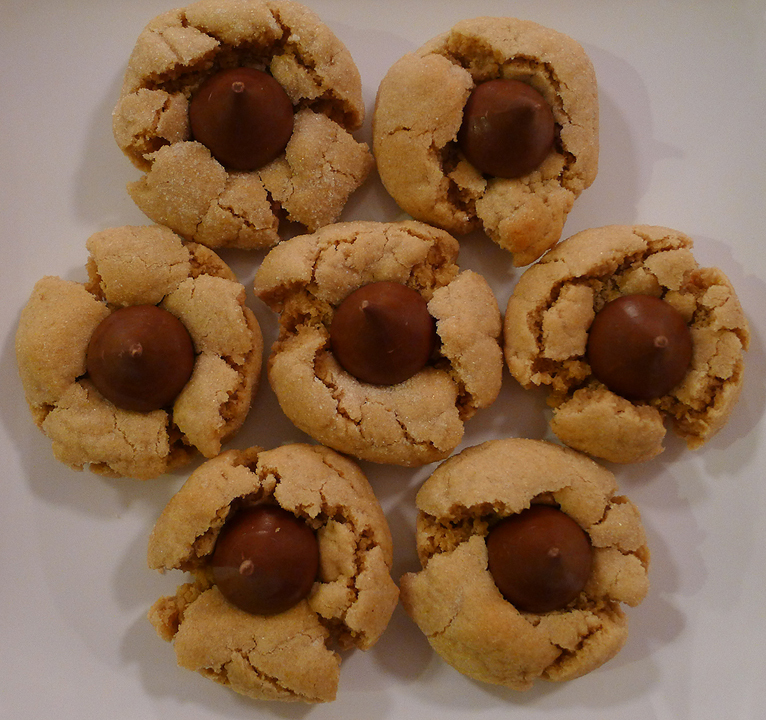 Nothing goes better together than chocolate and peanut butter. The combination of these two amazing tastes combined into one, equals heaven. 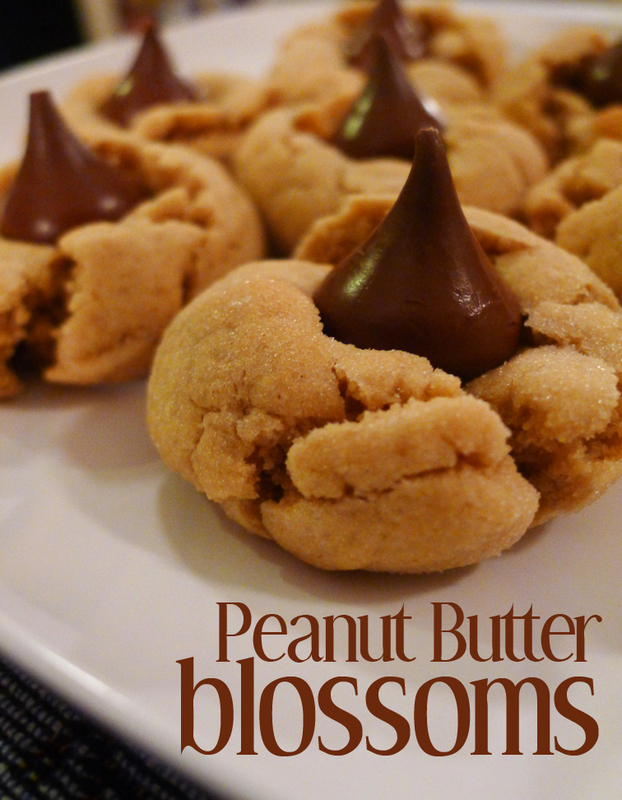 The Peanut Butter Blossom is my husbands favorite cookie. He went out last night to buy Hershey Kisses in hopes that I’d make them. So tonight, I obliged. Heat oven to 375°F. Remove wrappers from chocolates. 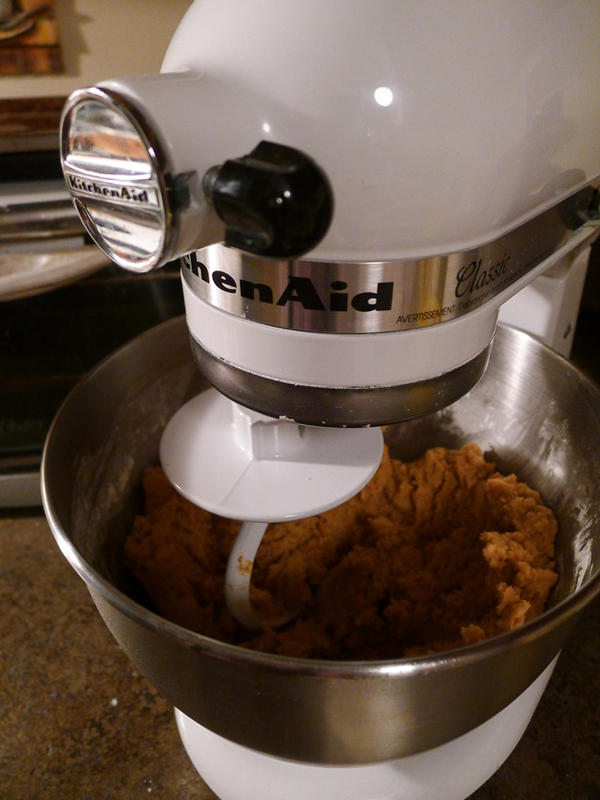 Beat shortening and peanut butter in large bowl until well blended. Add 1/3 cup granulated sugar and brown sugar; beat until fluffy. Add egg, milk and vanilla; beat well. Stir together flour, baking soda and salt; gradually beat into peanut butter mixture. Shape dough into 1-inch balls. 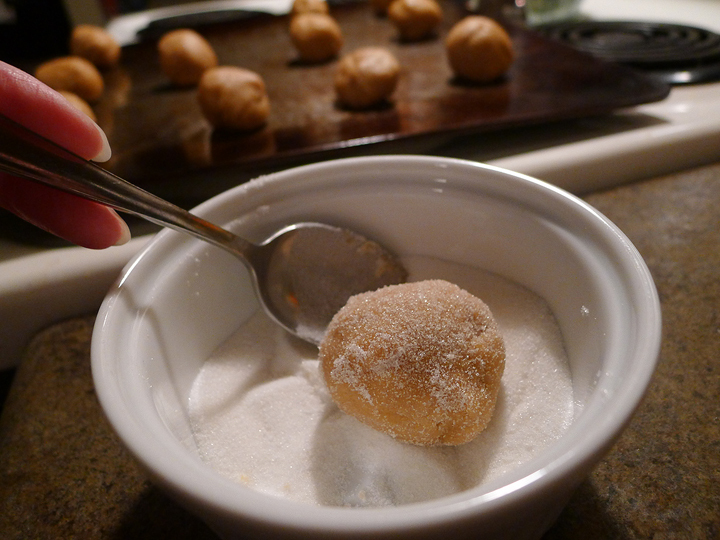 Roll in granulated sugar; place on ungreased cookie sheet. Bake 8 to 10 minutes or until lightly browned. Immediately press a chocolate into center of each cookie; cookie will crack around edges. Remove from cookie sheet to wire rack. Cool completely. Makes about 48 cookies. * These instructions are on the back of the Holiday Hershey Kisses. This entry was posted in baking, recipes and tagged baking, blossoms, chocolate, cookies, holiday, kisses, peanut butter, recipe. You take great pictures!! This cookie was a favorite of my family when I was growing up. Nothing like a fun cookie to eat!! Thank you Bernice! These are my favorite cookies too!